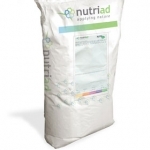 Is a stock remedy consisting of colostrum, spray dried at very low temperature to protect the protein. It is known to increase the passive immunity of calves, lambs and piglets when administered within the first six hours after birth. Is composed of yeast cell walls (S. Cerevisiae), botanical extracts, tannins and saponins associated with minerals and anti-oxidants. It has been especially formulated to reduce protein solubility in the rumen and bind ammonia while reducing protozoa that predate on beneficial bacteria. The benefits include increased rumen by-pass protein, increased N-metabolism and ammonia binding. Toxy-Nil® is a reliable cost effective solution to inactive mycotxins and minimise the negative effects of mycotoxins on animal productivity, whereas Adsorbate® is the competitive clay-bentonite in our range. Unike® Plus, the optimal broad spectrum product that has five modes of action: Absorbsion of mycotoxins, boosts mycotoxin bio-inactivation, assists in the revival of the immune system, aids in recovery of infected organs and inhibits oxidative stress. 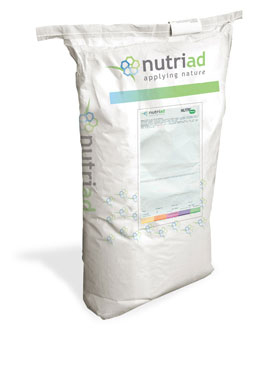 Adimix 30 Coated is precisely delivered butyrate for maximum effect. Butyrate helps strengthen the intestinal function and attack harmful bacteria such as Salmonella and Campylobacter. This however, can only be achieve if the right amount of butyrate is delivered to critical areas throughout the intestinal tract. Optisweet™ is a complex blend of high intensity sweeteners and enhancers developed specifically to encourage and improve feed intake. Encouraging feed intake with Optisweet™ can overcome the effect of the nutrient gap on performance and allow genetic potential for growth to be achieved. Gusti Plus is a powerful flavour enhancer designed to improve feed intakes. Gusti Plus will provide feed with an aroma and taste that is extremely attractive to livestock and will stimulate appetite and encourage feeding allowing higher feed intakes to be achieved. Biorem and Biosin are registered probiotic products under Act 36 of 1947. They contain large quantities of microorganisms that are cultivated on a Lucerne Medium. The species of lactic acid bacteria in Biorem are specifically selected for their ability to multiply under conditions which are usually not very favourable to the conventional microorganisms in the digestive tract, as well for their antagonism against specific pathogens. It is also registered as an antidiarrheal for calves and lambs. The lactic acid bacterial culture starts to multiply rapidly immediately after in take. The population of the ecosystem is brought into balance, and an anaerobic gut environment is established, reducing pathogen growth. Most pathogens are affectionate to oxygen and the rapid increase of the lactic acid bacteria, change the gut environment to an anaerobic milieu which is unfavourable to the pathogens and their numbers start to decrease drastically. The result is a healthier animal that does not get sick easily. More technical detail is available on request. Treatment and prevention of deficiencies of the vitamins A, D3 and/or E, e.g. growth disturbances, non-infectious reproductive and sight disturbances, enteritis, rachitis (rickets), reconvalescence and skin problems. Prophylactic treatment during periods of challenge and in stress situations.